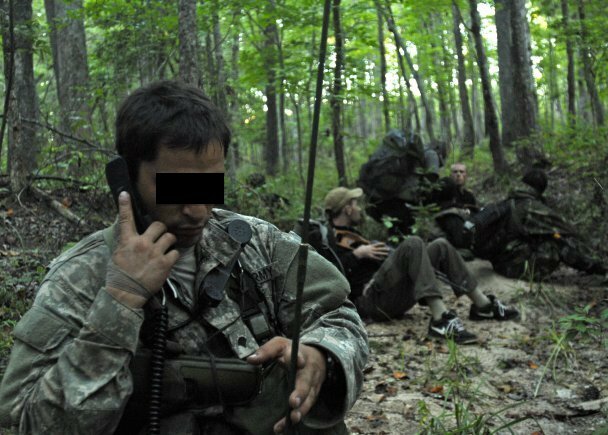 In this second installment of 20 SPECIAL FORCES CONCEPTS FOR BUSINESS we deal with two attributes that are intimately woven in the world of Special Operations: Communication and Cultural Perception. Since Green Berets (Army Special Forces) almost always work “by, with, and through” indigenous cultures, as well as other units and agencies, effective communications require extra skill and training. You may never have to coordinate between a mix of tribal and military players to achieve a crucial goal in a combat environment, but as you read this article think about your corporate or business landscape. What is your team doing or not doing to prepare for complex operations? 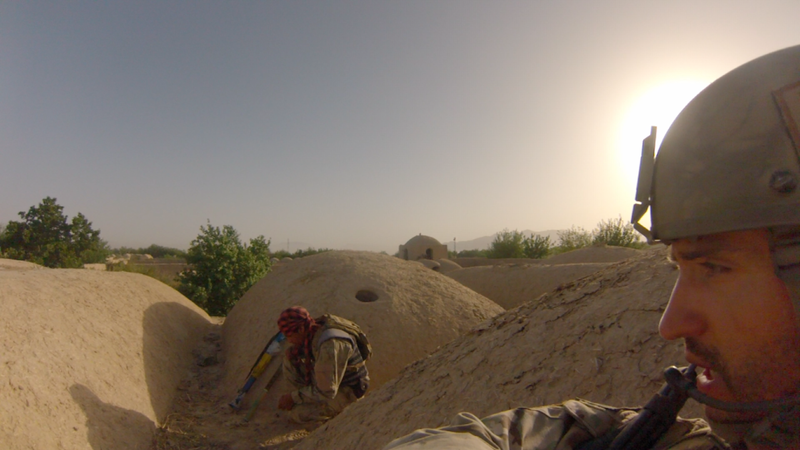 Chances are your “operational environment” has more in common with that faced by Special Operators then you may think. With that in mind read, compare and comment! 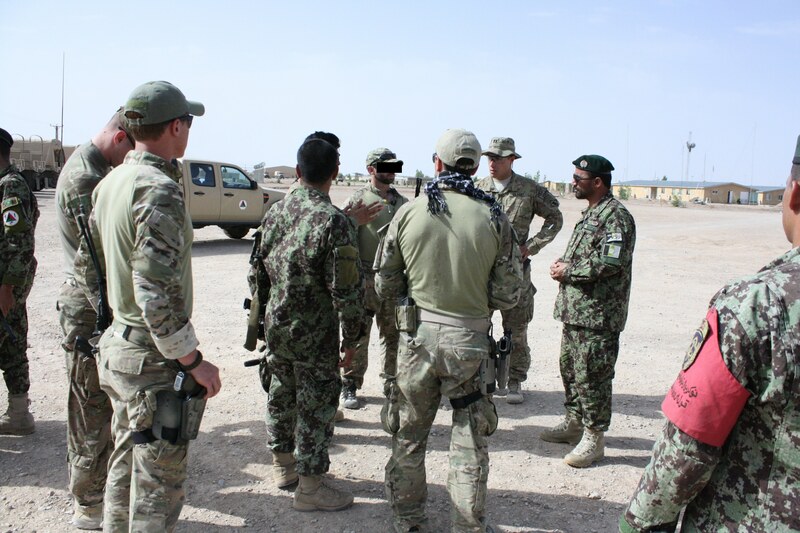 Special Forces soldiers discuss a plan with Afghan and US leadership. Communication may sound like a no brainer. I am definitely not the first person to tell you that, whether on the battlefield or in the boardroom, we must communicate effectively, blah-blah-blah. This is not groundbreaking news to most of us, yet maintaining good communications remains one of the most difficult tasks to consistently perform well. Add the least bit of pressure, and even quality people will drop the ball on communicating. Introduce combat stress, adversity or any other form of chaos, and the unprepared will quickly loose the basic human attribute of being able to share important information and ideas with others. Of course, there were also times under fire when I calmly processed information, formulated my thoughts, and effectively conveyed info and instructions to those around me. 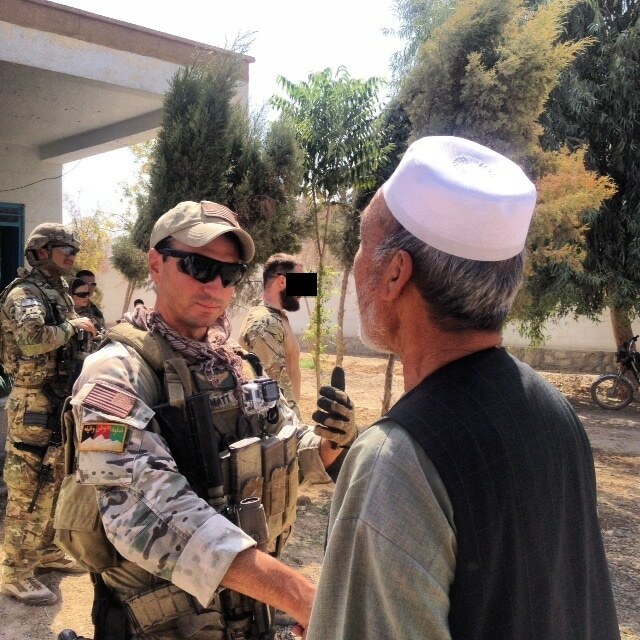 In most instances in Afghanistan, even during periods of chaotic combat, I can say my split team of four Green Berets were responsible for facilitating multiple levels of effective communication between a mish-mash of different units, nationalities, and cultures that were sharing the same battle space. Communication needed to be achieved on multiple levels, including technological, verbal, body-language, linguistic, and cultural. Addressing all of these levels, my Special Forces split team was often successful at maintaining cohesion between the very different groups. The author relays info over the radio during a contact with the enemy. Why are some teams able to do this well under pressure and others aren’t? Experience obviously becomes a factor, but in the case of Special Forces, it starts with training. Training that begins at the team level. We undergo complex scenarios where success is often defined by how well all Operators are able to keep the critical flow of information circulating throughout the entire team. If one person on the team is not aware of what is going on, communication has failed. Only when information sharing between team mates becomes effortless, can the group hope to accomplish the higher-level communications necessary to coordinate between multiple units, headquarters –and in the case of Special Forces– communities, tribes, and regions. In corporate operations your goal is the same. Information is power, so when the metaphoric “bullets begin to fly,” you want your people to be able to communicate within the team with ease, then to the other groups that are needed to achieve mission success. Once this is accomplished, then your team can worry about becoming “Special Operators” who are able to manipulate the nuances of disciplined information control and collection across drastically different corporate cultures, value systems, and even foreign lines. When we train an organization at Origins Training Group, one of the first things we do is introduce them to scenarios that make communication blockages in the group become obvious. You see the lights go on pretty quickly, and once that happens, the stage is set for training exercises that open the door to high-level communications. Does your organization have the training and systems in place so that your people can accomplish the crucial communications piece of mission success? A SF candidate attempts to deal with complex communications challenges. The first principal we discussed in this series, and the hallmark of Special Forces, was “Force Multiplication.” This capability allows a small number of Green Berets to effect large areas by influencing the local populace to help achieve strategic goals. Clearly, to be successful in Force Multiplication requires knowledge of the local cultures you are working within. For Green Berets operating in far-flung corners of the planet, that means knowing something about the languages, religions, traditions, taboos, and beliefs of the human assets that they are trying to win to their cause. This is the obvious application of Cultural Perception, but this article will show that there are more subtle “cultures” all around us that must be perceived and understood in order for our endeavors to succeed. In the country of Afghanistan alone, SF teams work in a “Human Terrain” which is composed of at least three different major root ethnic groups: Pashtun, Tajik and Hazara. Each of these is associated with different languages, traditions and histories of friction. These major ethnic origins are subdivided by numerous tribal, regional, political, and provincial lines that are in no way done shifting. 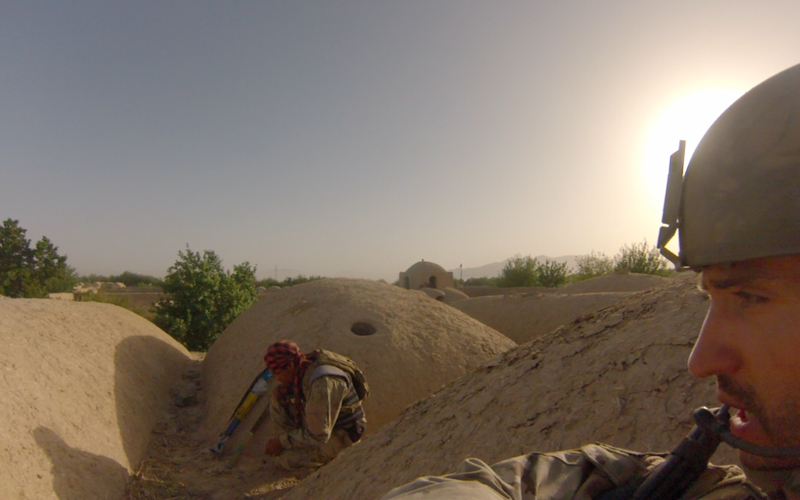 Green Berets must navigate this playing field on a daily basis because when they face the enemy, it is almost always done with Afghans by their side. This means that, like it or not, the fate of the team and the mission is intertwined with that of these Afghan partner forces. With that in mind, being perceptive of the multitude of cultural values, which are essentially motivators for human action or inaction, is a necessary skill that goes beyond curiosity. Understanding your human asset’s motivations leads to influence and control, which leads to survival and success. Beyond the literal ethnic cultures an SF team must navigate to be successful, there are a multitude of cultures within the military. Conventional forces and Special Operations are different cultures with some differing values and customs. An SF team will often need support from other military units. Each of these units has unique language and slang, traditions and shared experiences. Infantrymen, engineers, aviators, mechanics, administrators, officers and enlisted each are sub-cultures that need to be understood. If you are relying on multiple groups to help meet your goals, then you need to be aware of their unique cultural quirks. Every mission I conducted in Afghanistan was a joint operation. The larger ones could include at least five different Afghan security agencies, coalition soldiers from Italy and Slovenia, and a variety of different US military ground and air units. This concoction of cultures trying to work together brings us right back to the first attribute listed in this post: “Communication.” Under these complex circumstances, I witnessed communications that ranged from horrendous to truly inspiring. Individuals who were not all that successful at navigating the “cultural terrain” never made the connection between how their words, the way they carried themselves, and even the clothing or equipment they wore effected their attempt at being influential and understood. Those who were successful recognized that different speech, body posture, and actions were necessary to communicate with each unique culture on the battlefield. Because of the unconventional training I received during the Special Forces Qualification Course (Q-Course), I already had the experience to know that if I wanted to be understood or receive information, I would do best to take different approaches when speaking to an Afghan soldier, an Army Engineer, a European soldier, a Special Operator, a Marine, a pilot, or a villager, because each required unique cultural treatment. If this is sounds a bit familiar, it should. Think about your own office and the corporate terrain that you operate in. Think about the different organizations, departments and businesses that you rely on. Think about the people. The financiers, tech people, sales people, administrators—the designers and the bean counters. Aren’t each a culture onto themselves? Are you and your people completely understanding the nuances of how they speak and process information differently? If not, how are you going to train to increase your effectiveness in the cultural landscape you need to operate in, and what can you learn from Special Forces? Participants in an Origins Training Group corporate event tackle communications under mission stress. Thank you for such an insightful piece. 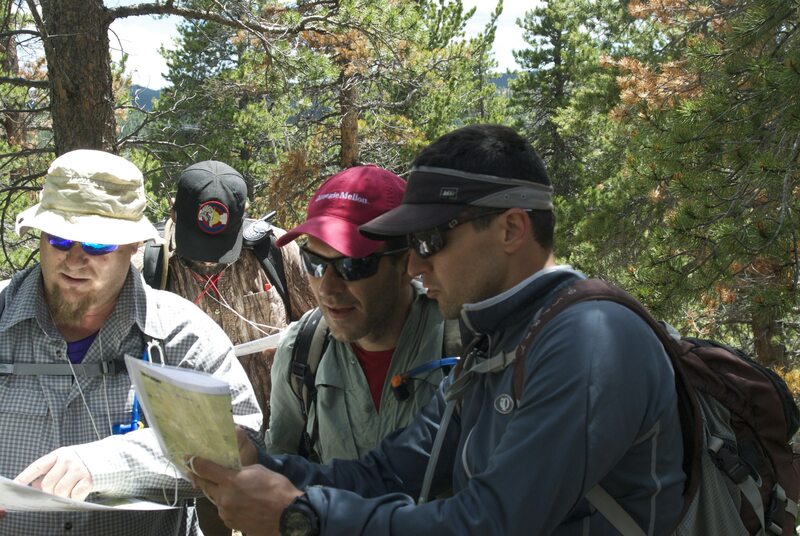 Communication along with proper planning are integral in assuring the success of any endeavor. All too often clear communication is taken for granted in the workplace. From an HR standpoint, I appreciate you effort to illustrate the importance of knowing your individual team members in order to achieve optimal communication. After all, we must first understand our recipients before we too can be understood. Looking forward to Part 3. I find this very interesting. We are a startup organization and have strong parallels with this template.